Groundbreaking ceremony for the new Bonner Springs City Library. 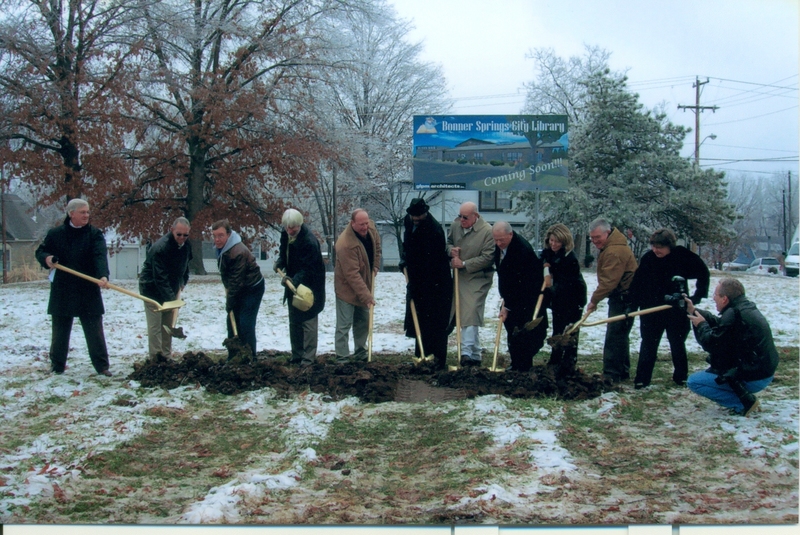 Pictured L-R: Mayor Clausie Smith, City Council members, Larry Berg, Bob Reeves, Tom Stephens, Wayne Grey, Jerry Jerritt, , Lloyd Messmer, Kim Beets, Library Director, Judy Anderson, Pres., Library Board. 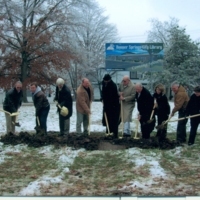 Bonner Springs City Library, “Groundbreaking Ceremony for the New Bonner Springs City Library, December 12, 2007,” Recollections Kansas, accessed April 21, 2019, http://recollectionsks.org/items/show/855.